11 December 2013, Taipei, Taiwan - According to research, a high percentage of PC system instability, short circuiting, and burnouts issues are caused by the physical environment, including extremely hot or cold temperatures. 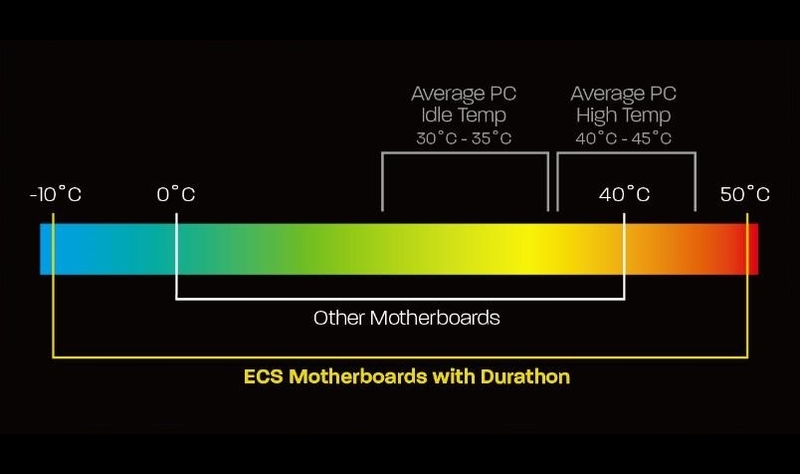 To prevent these issues, ECS motherboards with Durathon Technology are tested under extreme operating conditions, and are put through temperature tests that are 50% more stringent than the normal industry standard. 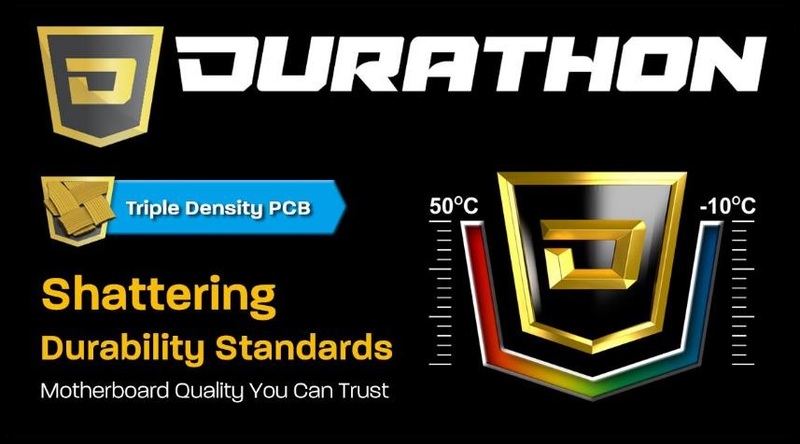 Durathon Technology offers a wide range of temperature protection, from 50˚C to -10˚C, which is 10˚C higher and lower than most competitors’ motherboard tests. With such a wide temperature-resistance range, ECS motherboards with Durathon Technology can effectively reduce PCB warping and stress due to drastic temperature fluctuations in cold environments, and ensure stability at the average PC high temperature range (40-45 ˚C). ECS Durathon Technology is made up of a combination of four enhancements and tests: Triple Density PCBs, Extreme Temperature Resistance, 1.5K Marathon Testing, and Superior Solid Capacitors. These help prevent common hardware problems and system instability. When it comes to quality and durability of motherboards, ECS goes above and beyond industry standards. Trust only motherboards built with Durathon Technology.